The goal of a proper education is to create empowered individuals who exercise their free will to shape their fate, to develop independent thinking patterns and to contemplate fundamental questions about the nature of existence and society. 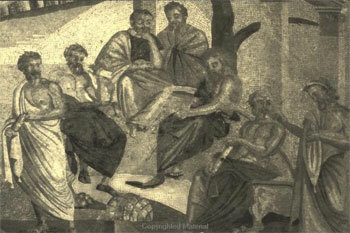 Dialogue and analysis in the Socratic fashion are of prime importance to discovering personal truth. A study of the liberal arts is crucial to creating a cultured, compassionate and empowered individual. Instead of telling students not to do something, that something is invalid or something is not wise we should be cultivating in them the fundamental skills to find the truth on their own. A quest for knowledge and wisdom discovered through experimentation and experience is more conductive to wellbeing and sincere academic achievement than rote memorization of factoids. The goals of education are to grant the student the tools necessary to think clearly, to construct arguments with rhetorical cogency and logical rigor, to develop mindfulness, cultivate mental skills crucial for tempering life, passion and the emotions, develop moral and intellectual courage and honesty, to develop cosmopolitan tendencies and compassion toward humanity, to create a sense of civic duty and virtue, to develop a dependable character, conviction and integrity of action, to develop an appreciation for science, naturalistic reasoning and sobriety, to expose the student to a liberal arts education (in particular History, Literature, Philosophy and Sociology); to expose the student to the Socratic lifestyle. The role of the student is to be honest in word and deed, questioning all value judgments with a chain of reasoning, to be happy and to enjoy life or to voice his or her honest frustrations, to avoid pretension and ostentation, to discuss ideas rather than people, to pay respect to all fellows but not to confuse that respect with intellectual passivity, to seek a greater degree of personal truth by contemplating fundamental questions, to evaluate the merit of others opinions and arguments, to seek whatever end will have the most meaning to that individual. The teacherâ€™s role is to be a catalyst to cultivating understanding, greater awareness and heroic virtue in the student, to favor no one, to be fearless both morally and intellectually, to consider him or herself an equal amongst students, to incite discussion and debate wherever possible, reward for and facilitate creativity, uniqueness, ingenuity, abstract reasoning and innovation, to speak the scalding truth, to be passionately concerned with the wellbeing of the students, to inspire the students to a life of greatness and conquest, to present all knowledge with no distortion or watering down of the truth, to expose the students to as many different perspectives and ideas as possible with no censorship, to expose to the students the wonders of natural science. My method of teaching will emphasize open discussions and philosophical dialogue, a circle of chairs preferably outside (symbolically inferring equality of thoughts and humanity), debating in the contemplation of ideas, no censorship of what is being said, no rules or restrictions on classroom behavior and social taboos (the environment will be the same sort of honest discussion one has with friends), heavy usage of graphical aids especially Osprey books and physical artifacts, historiography, few assignments (some essays regarding analysis of ideas and expression of personal ideas), numerous field trips, relation of all material to current happenings and everything else with a flare of existentialism. Subjects studied will include historiography, historical theory and philosophy of history, the history of history, the history of ideas and religion (especially the evolution of ideas), and surveys of ancient and medieval peoples. Faculty and staff are dedicated to making the academic experience meaningful. The main goal is to plant in our students the courage to overcome any obstacle they might encounter in life. The serves to help students push on and grow to be the greatest of the great, to conquer any obstacle that might hinder their personal quest to a meaningful and heroic life. The curriculum is designed to teach students to work cohesively and respectful in group activities to establish the bedrock of a concerned and harmonious society. A demanding and caring learning environment is the most important element that contributes to school effectiveness. School institutions should demand tolerance, compassion and civic virtue in teachers, for these sorts of characteristics are necessary for responsibly educating children. In the formative years children require inspiring and heroic influences, not professionals whose only purpose in teaching is to receive a paycheck. Those who act in an unkind, uncaring and arrogant fashion lower the self-esteem and confidence of the children and can plant seeds of doubt which can cripple for a lifetime, eventually leading to a continuous cycle of self-destructive escapism later on in life. Teachers must display a degree of magnanimity and patience to mold minds in an ethical fashion. Failure to uphold these virtues results in social corrosion and produces weak-willed, apathetic and fearful adults. Students will be expected to demonstrate leadership, initiative, creativity, and innovation rather than simply pass exams by regurgitating trivia. Students will be taught to question and examine everything using naturalistic reason. We are bound by the motto â€œIn Virtute Veritasâ€ (in virtue, there is truth) to illuminate the cancers of society under the radiant rays of our mascot the wise Apollo. By bestowing moral and intellectual courage into our students we hope for a brighter and better future wisely guided by compassion and reason. Some would agree that the state of education in the United States is poor. I would go beyond that notion and see to fundamental reforms in the very nature of education. This shift in method can be illustrated best considering the example of societyâ€™s escalating drug abuse problem. DARE was reckless and poorly envisioned: arbitrarily telling people that drug use is bad because itâ€™s against the law is no way to foster sobriety in a culture. Instead of even bringing up the topic of drugs we should be integrating critical thinking, discussion, rhetoric and philosophy classes beginning in elementary school that teach us to be rational, clear-headed and sober thinkers, so that hopefully in the end we will decide on our own not to use drugs. As everything in this diseased society, we fail to ever address the root of the problem and instead attend to the immediate effect that befalls it. People are using drugs, so we must stop them from using drugs. Instead of trying to punish people illegally for a right which should be constitutionally protected – that is – freedom of personal choice and morality, we should be attacking the root of the problem which is usually a lack of self-esteem, coping skills, and a critical thought process. In a more sane time educationâ€™s focus would not be primarily on memorizing trivial minutiae: dates, what the 22nd presidentâ€™s dogs name was, and other nonsense that has nothing to do with reality, but instead cultivating empowered thinkers; people with the ability to mentally operate independent of Bill Oâ€™Reilyâ€™s blathering sophistry. Our education fails again and again to create good, skeptical, rational thinkers in exchange for spelling bee champions, as if that plaque won makes you a good citizen. The fatal problem with our â€˜educationalâ€™ system is that three most important things in an education are missing. All education must be built upon a foundation of rhetoric, logic and grammar. These fundamental tools are crucial for properly structuring thoughts, thinking critically, rationally and logically. The powers that be take these tools away from the masses so that they cannot defend themselves; remain bovine and oblivious to deceptions. How is one supposed to encounter ideas in a systematic fashion if he lacks the training in which to consider them? Do we ever stop to consider why we take the actions we do, question why we buy the useless junk that we allow to define our worth? To learn how to examine every cause, to penetrate every layer of gilding, to lay the issue bare and see how pointless it is, that is the goal of a true education. We should be striving for excellence in all things, children who may conquer the world through sheer will, not mediocrity in alleyways smoking dope. How is this accomplished? Inspire them, push them, drive them toward heroic victory, the earlier the better. Instill in children the will to become emperors, not the will to mop up vomit at McDonalds. In my formative years I had a teacher who would always pass me on the way to school in his car. He could have picked me up, given me a ride but he didnâ€™t. Instead he gave a little wink of confidence or a wave that said â€˜push on.â€™ He would never hold my hand through anything but always instilled in you the right sort of push that put you on your way toward victory. This is what education should achieve. Give you that inspiring push, with dramatic examples of character and virtue, but then have the restraint to see you accomplish it on your own.